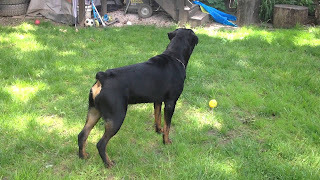 Capone the Rottweiler was doing some Home Protection Alarm Test around the backyard. The Rottweiler breed is well know for their protection skills and is consider a guard dog. The Rottweiler will do anything to protect a member of the pack and that mean even if his life is on the line.